If you need a whole site or even a garden cleared of all vegetation and waste , you can count on Climbatize as your trusted contractor. We are well equipped and utilise the latest equipment for efficient, safe and swift removal. Site waste such as general rubbish, concrete and scrap metal can be removed offsite or recycled where possible. We can prepare whole sites for development, ensuring a smooth start to any sized project. All of our operatives are CSCS certified and all of our Health & Safety policies comply with CDM Regulations. Disused sites can hold a lot of waste in the undergrowth, Climbatize can organise hassle free removal offsite and try to recycle where possible. Registered and licensed waste carriers provide skips, grab wagons and bins for any type of waste. Removal of rubbish ensures a smooth operation when paired with vegetation removal. We can structure our prices to include site levelling, temporary fencing/hording, access roads, parking areas and much more. Please get in touch to discuss your needs. We have multiple pricing options when it comes to removal of vegetation. Arisings can be removed offsite or recycled as mulch on site, stumps can be removed or left in situ with poisoning being another option. Whatever your problem we have a solution. Diggers, tracked mulchers, cranes and whole tree chippers are just a small selection of equipment used to speed up works. 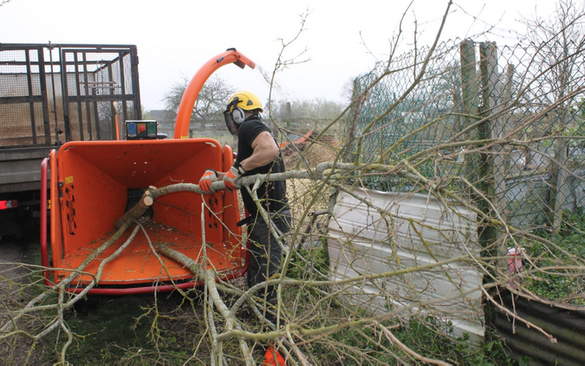 If access is a problem, we have experienced teams ready with hand tools such as chainsaw and brush cutters. 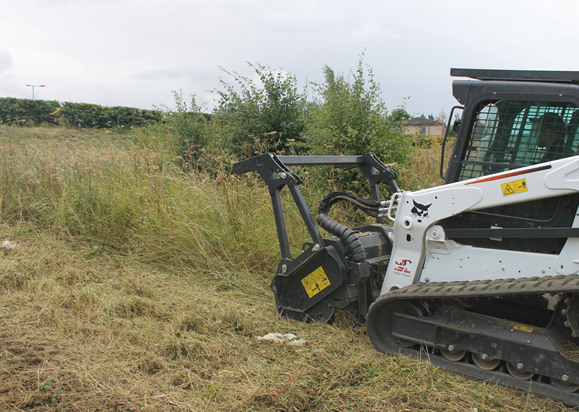 We have gained a lot of experience in site clearance and can ensure completion of your works within time constraints, ensure site safety and provide comprehensive quotations for any size project. We can strucutre our prices to include site levelling, temporary fencing/hording, access roads, parking areas and much more. Please get in touch to discuss your needs.